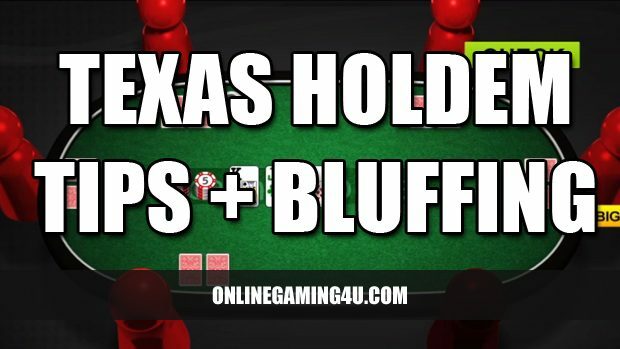 Texas Holdem is one of the most popular versions of poker playable online and in casinos, bars and home poker nights across the UK, Europe and the US. Like other versions of the game, it’s important to understand the strategy, and to approach the table with a decisive game plan if you don’t want to lose all your money. While it’s easy to get started with Texas Holdem, it’s difficult to play well, and to get to a stage where you’re actively stacking the odds in your favour. However, if you can reach that Holy Grail of understanding exactly what you should be doing with every hand to maximize your return, you’ll notice more consistent winnings, and a greater control over the outcome of each hand you play. Much of the theory underpinning Texas Holdem strategy comes down to your proximity to the dealer at a given point. Play starts with the player situated on the left hand side of the big blind for a given hand, so it’s important to be constantly aware of the motion of the game and where you fall within it, to ensure you’re implementing an effective and likely successful strategy. There are three stages to a hand that should be considered – prior to the flop, the flop and finally the turn. While volumes have been written on strategy and technique at each stage, we’ve condensed certain key features to provide a bird’s eye view of a basic but solid betting strategy for the pre-flop stage of a hand. 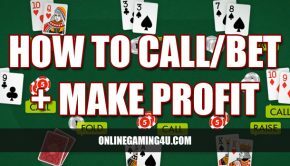 Pending your position relative to the dealer and the quality of your hand, you may raise, call or fold. If you’re dealt a pair of Aces, a pair of Kings, or an Ace and King of the same suit, raise at this stage. If you’re dealt an Ace and a King, an Ace and a Queen of the same suit, a King and Queen of the same suit, a pair of Queens, a pair of Jacks or a pair of tens, call at this stage. If you’re dealt anything else, fold. If you’re dealt a pair of nines, an Ace and Jack of the same suit, an Ace and Ten of the same suit, a Queen and Jack of the same suit, an Ace and a Queen or a King and a Queen, call at this stage. If you’re dealt a King and Ten of the same suit, a Queen and Ten of the same suit, a Jack and Ten of the same suit, an Ace and a Jack or an Ace and a Ten, call at this stage. Playing Texas Holdem, much like any game played for money, requires much more than a basic understanding of the rules. If you take the time and invest the energy into learning foundational strategies, you’ll quickly be in a position to beat most recreational players and to understand better how the odds of the game work for or against you, pending the hand you’re dealt. By devising and practicing a strategy of your own, you should be able to improve the chances of winning any given hand, and more readily identify when to cut your losses to minimise wasted chips. One of the most notable skills top poker players need to master is the ability to ‘bluff’ a hand, or carry forward and consequently win with a hand that under normal circumstances wouldn’t be considered strong enough to do so. Bluffing is, in essence, a deception, and a skill you need to be able to both invoke and spot in others if you’re to tackle other poker players and become a better all round player. But when and how should you attempt to bluff, and how effective can the strategy be during the course of live gameplay? 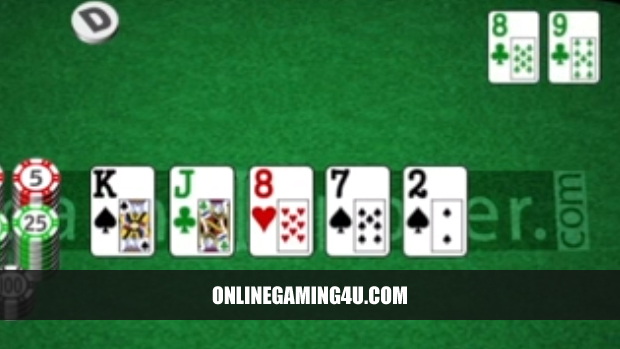 There are a variety of situations in which it might be feasible to bluff over the course of a game of Texas Holdem. One of the most common situations in which one might bluff is when there are too few players to make it possible for frequent ‘good hands’ to appear. 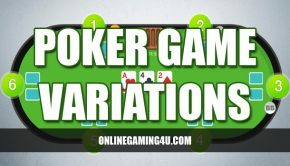 A poker game with 3 players is often insufficient to produce regular so-called ‘good’ hands – as a result, it’s quite common for players to start bluffing with high cards and low pairs in an attempt to outwit their opponents. Of course, this tactic should be used sparingly, and any keen poker player will be quick to spot a bluff at such an obvious point in a game. 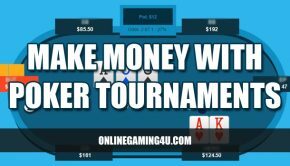 Another such situation where it might be feasible to bluff your hand is where you’re last to make your play and all preceding players have checked and seem unsure as to the standard of their hand. Again, it’s something more experienced players will smell a mile off, but it’s important to make sure nonetheless that you carry off this move with confidence. If no one is prepared to seize the initiative and you have a semi-decent hand (even a high-card Ace), it might be worth playing. Making sure your bluffs carry weight is critical to their success as a strategy, and consequently you can’t go around bluffing on every hand. It’s also important to win a few key hands first and build up a bit of a reputation, before you go around and start bluffing with weaker hands. You need to be seen to play aggressively when you have a strong hand, so that you can repeat your strategy at a subsequent point when you have a lesser hand, to create the impression it’s just ‘business as usual’. The more sparing you are with the bluff and the more you’re seen as an honest, competent player, the more likely it is that you’ll be able to pull off the bluff when it really matters. Texas Holdem isn’t solely about bluffing, but it does play an important role in becoming a better player. By identifying when it’s plausible to bluff a hand, and also getting a feel for when others are trying their luck, you’ll be in a better position to call the shots when faced with a weaker hand or a deceiving opponent. Knowledge is key, and by understanding the psychology and thinking behind different bluffing strategies, you should be able to more effectively spot the genuine aggressive plays from attempted bluffs. First published 24 Nov 2009. Updated 21st February 2018.